We spend a lot of time making sure our classroom is bursting with color and creativity in order to stimulate our students and make them excited to learn. I personally enjoy coming up with creative ways to design my classroom so that students feel a sense of care, while also learning something from the classroom itself. 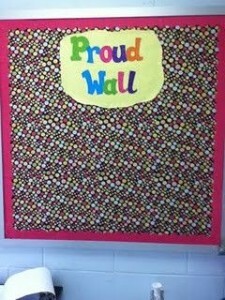 Therefore, I came up with a list of some of the most creative classroom bulletin boards I’ve seen. You’ve got to try these out! There are so many interesting facts and tidbits in this vast world of ours, and often times we don’t get to share these with our students. 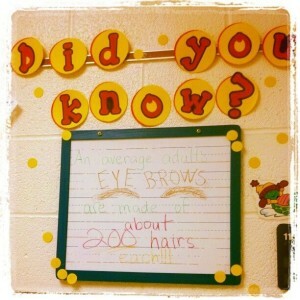 So naturally, I loved this “did you know” bulletin idea. It’s a great way to present interesting/shocking/scary/awe-inspiring pieces of information with your class. You could change these up daily or weekly, whatever suits you best. 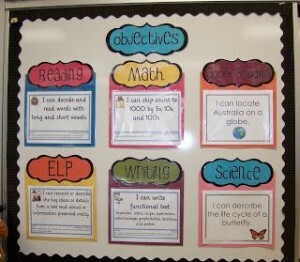 You could even assign students the task of coming up with a fact to present to their classmates on the board. This is so symbolic of everything we want our classes to be: One whole unit with each student able to shine in their own unique way. There are many ways to represent this in a bulletin board. 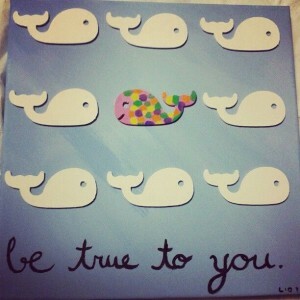 You could create an art piece/mural as displayed below or pieces of a puzzle completing a picture. 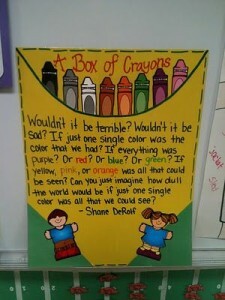 Or you can create a bulletin board reminding students of this concept, as is displayed with the crayon box below. 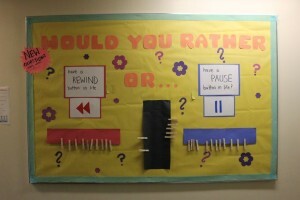 Bulletin boards don’t always have to be about curriculum topics. It’s a great way to emphasize character development traits or to give your students words of encouragement. 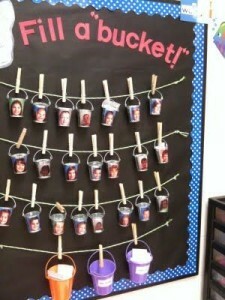 I love the idea below where students fill each other’s buckets with words of encouragement. This is a wonderful way to get your students giggling and contemplating, while also getting to know each other a bit better. You’ll also sneak in some math concepts with this one! 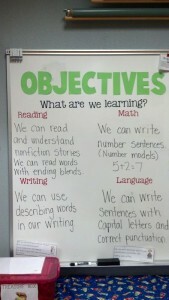 We always have a goal for our students in mind. We know what we want them to get out of each and every lesson. So why not communicate that to our students? They’ll have more focus during lessons, and they’ll be able to measure their own success. Try this out, it will benefit everyone. It’s always great to acknowledge outstanding work. It rewards student effort and gives other students something to aspire towards. It’s also a wonderful way to show your students what you’re looking for. A wall of fame is a class must! 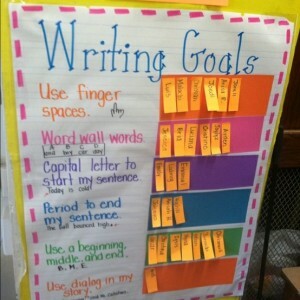 Students can easily get lost in the writing process if it’s not organized for them. So, before they come and slap their paper down on your desk claiming to be done, have them go through a writing process detailed on a bulletin board. 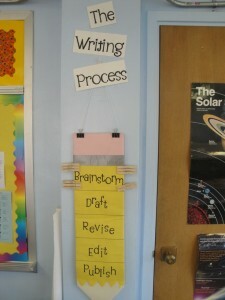 If you make this a DIY project then you can cater the process to your class’ specific needs. 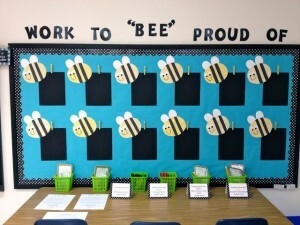 What are some of your must have bulletin boards? 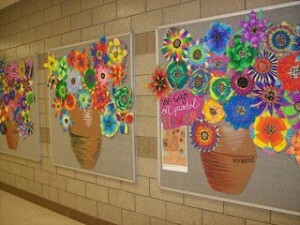 These are such great bulletin boards! I had seen a few before on Pinterest, but lots were new to me! 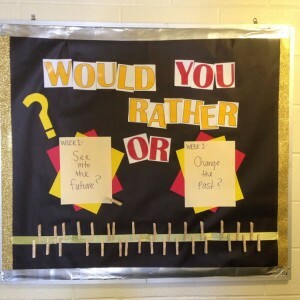 I loved the ‘Would you Rather’ examples! Thanks!